Ship refurbs are all the rage. Amplified, Edge, Revolution, Invictus – these aren't new ship names but rather labels that cruise lines are applying to multi-million-dollar refurbishment programs. Cruise ships are built to last for about 30 years and need regular maintenance; these days, they're also getting major cosmetic overhauls to keep up with their fleet's latest and greatest new ship, even when they're only a few years old. 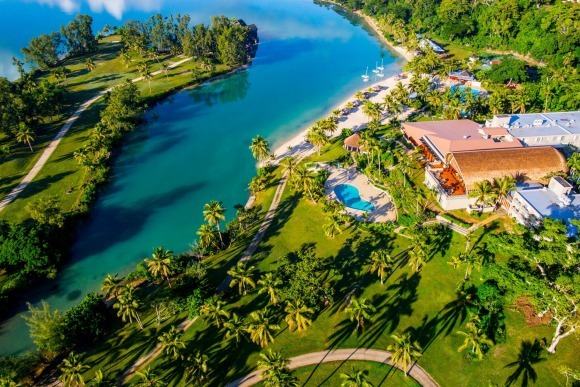 Royal Caribbean is spending $US900 million on Royal Amplified, a four-year initiative that involves upgrading 10 ships across three classes. In the Freedom class, Independence, Freedom and Liberty of the Seas will be fitted out with Sky Pad (a virtual-reality bungee trampoline experience), glow-in-the-dark laser tag, the Perfect Storm trio of waterslides and new dining venues. Voyager-class ships will also get the Sky Pad and laser tag as well as the retro-style Bamboo Room lounge and the popular Playmakers Sports Bar & Arcade. Oasis of the Seas will get a full makeover in 2019, just 10 years after it wowed the world as the biggest, most innovative ship in the business. Adventure activities and restaurants from the newest Oasis-class ship, Symphony of the Seas, will be installed on Oasis and the following year on Allure. Norwegian Cruise Line has just completed its Norwegian Edge refurb program on Norwegian Breakaway, Sun and Star. The revitalised ships now feature new designs and venues, including Los Lobos Cantina, an upscale Mexican restaurant; the adults-only enclave, Spice H2O; and Syd Norman's Pour House – an American rock 'n' roll bar and lounge, which makes its debut aboard Norwegian Breakaway. The Celebrity Revolution will get underway in 2019. Over the following four years, Celebrity Cruises' $US500 million "re-imagining of the fleet" will bring design elements introduced on Celebrity Edge (launching in December) and Celebrity Flora (an expedition ship to be based in the Galapagos Islands from next year) to the line's other ships. These features include The Retreat, Celebrity Edge's exclusive sun deck and lounge for all suite-class guests, and the SEA Thermal Suite. More than 500 designers, architects and engineers will work on upgrading suites, restaurants, bars and lounges on every ship. OceaniaNEXT is Oceania Cruises' $US100 million "re-inspiration" program that is set to transform its four 684-passenger ships (Regatta, Insignia, Sirena and Nautica) over the next two years. All up, the ships will be fitted with 1368 new suites and staterooms, 1400 new marble bathrooms, 8000 new light fixtures and 12,000 new sofas and chairs. Insignia will be the first ship to go under the knife, emerging with its new look on December 7. 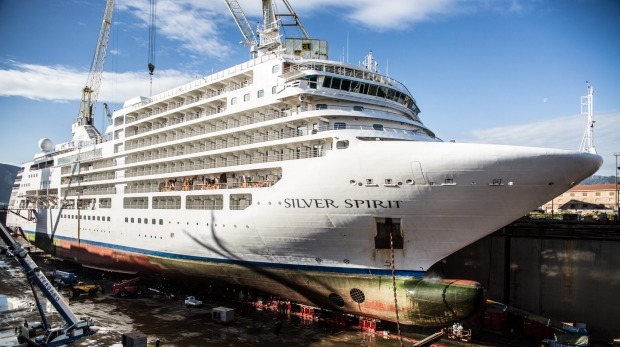 And if you're wondering about Invictus, that's the word Silversea is using for its multi-year upgrade project, flagged here on August 23; improvements started last month with the type of Champagne and caviar served onboard Silver Muse, which will then be implemented fleetwide. WHO GOES THERE River cruise lines: APT, Avalon Waterways, Croisi-Europe, Crystal, Evergreen, Riviera, Scenic, Tauck, Uniworld, Viking. WHY WE LOVE IT The Swiss city on the Rhine has a lot going for it: a medieval town centre, striking modern architecture, dozens of museums and art galleries, free public transport for visitors, swimming in the Rhine during summer and colourful Christmas markets in winter. Its position on the borders of France and Germany, plus regular music and art festivals, add to its many attractions. TAKE A TOUR OR GO IT ALONE? There are three main docking locations in Basel: Dreiländereck, Dreirosenbrücke and Steiger Klybeck. Many Rhine cruises begin or end in Basel and the docks are about 20 minutes drive from the airport. If you've stayed overnight, a free BaselCard is included in the cost of your accommodation. It includes free use of public transport and discounted entry to many museums and galleries. Use your BaselCard for 50 per cent off a two-hour city walking tour (departing from Tinguely Fountains at 2.30pm, six days a week), or follow the signs for five self-guided walks across the Old Town. Jump on the passenger river ferries, which travel from bank to bank, powered by the river's current and steel cables, for up-close city views. About 20 kilometres from the city is Augusta Raurica, a beautifully preserved Roman settlement that has been converted into a museum and archaeological site. MUST SEE Tinguely Fountain, a contemporary water sculpture in Theaterplatz; Markplatz's16th-century Town Hall and 12th-century Gothic cathedral; Kunstmuseum, for its outstanding collection of modern art and old masters; the Renzo Piano Fondation Beyeler; interactive Basel Paper Mill museum; and the Toy Museum. MUST EAT Basel's restaurants serve up a vast range of European cuisines. Swiss specialties include rosti, cheese fondue, roasted flour soup and raclette (grilled cheese with extra goodies), and rich spicy sausages sold at street stalls. Don't miss the local delicacy, Basler leckerli - spiced biscuits made with kirsch, nuts and candied fruit. NEED TO KNOW The Swiss franc (CHF) is Switzerland's official currency. Famous movie stars who have sailed on Cunard's Queen Mary 2 include Uma Thurman, Carrie Fisher, Richard Dreyfuss, Tilda Swinton and Kim Novak.